Guthof Lutz, along with its lovely holiday apartments, is a most delightful place in Tirol. Situated at the ‘gateway to the Allgäu region’, this scenic spot, from which you have a fantastic view far into the Tannheim Valley and the neighbouring Allgäu, is quite simply perfect. The mountains seem close enough to touch. Our holiday apartments in Tirol are ideal for those seeking relaxation and enjoyment. Our goal was to build something truly extraordinary for you, including our own spa area and a sun terrace. We are sure you’ll appreciate the quality, comfort and the spacious interior of our disabled-accessible holiday apartments. 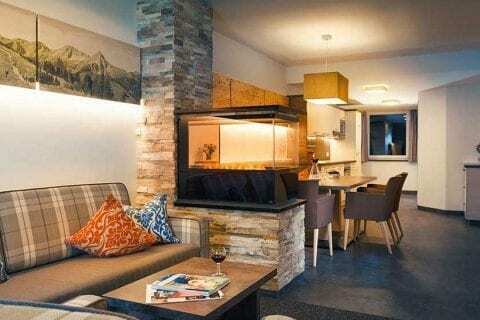 Our apartments are situated in Schattwald, between Tannheim and Oberjoch. We are very pleased to present this holiday home to you – in ‘Europe’s most beautiful high valley’. Take your time to look around, savour the anticipation of your upcoming holiday in Tirol. Our house offers two types of barrier-free apartments – “Enzian” and “Alpenrose”. Apart from that there is another one, called “Edelweiss” which is a wheelchair-accessible holiday apartment. Each of these aparmtents has either a terrace or a covered loggia. They are facing south and sheltered from the wind. We had the particular needs of families in mind when we furnished the apartments. To keep your children occupied, we have indoor and outdoor playground areas. From our lovely sun terrace you can always keep an eye on them. This means fun for your kids and relaxation for their parents. In the evening, back in your holiday apartment, children can look forward to an extensive range of TV offerings and games. You might also like to access our free internet. Upon check-in, our guests will receive their summer cable-car ticket, completely free of charge. Four cable cars (Wannenjoch, Neunerköpfle, Füssener Jöchle and Krinnenalplift) are included – every day! You can use every cable car once a day (return ticket). This makes it much easier for you to explore the high-altitude mountain trails of Tannheim Valley. Barrier-free holiday apartment for up to 3 people. This apartment offers a barrier-free bathroom with separate, barrier-free WC. The apartment is on the ground floor, which makes it easily accessible. Each apartment comes with a free parking space. The parking garage is not only free of charge – it is also very handy and convenient. And it is only a short distance to your apartment. Here you’ll find practically everything you need for your holiday. The store is open daily and as residents of our apartments you’ll receive a 5-% discount on all your purchases (except tobacco products). 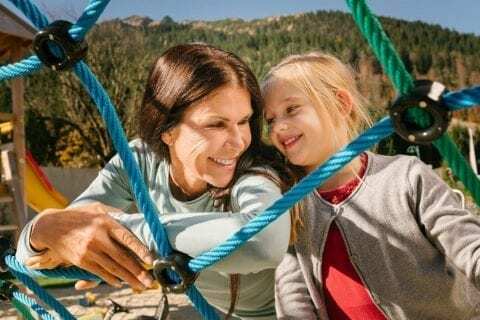 Your free summer cable-car ticket for the Tannheim Valley opens up a world of options, and makes sure you have action-packed holidays every single day. No dogs are allowed on the second floor. When you book your holiday, please let us know if you have an allergy. We’ll then make sure you get an apartment on the second floor. In certain holiday apartments dogs are welcome on request. We charge € 15.00 per day, without food.